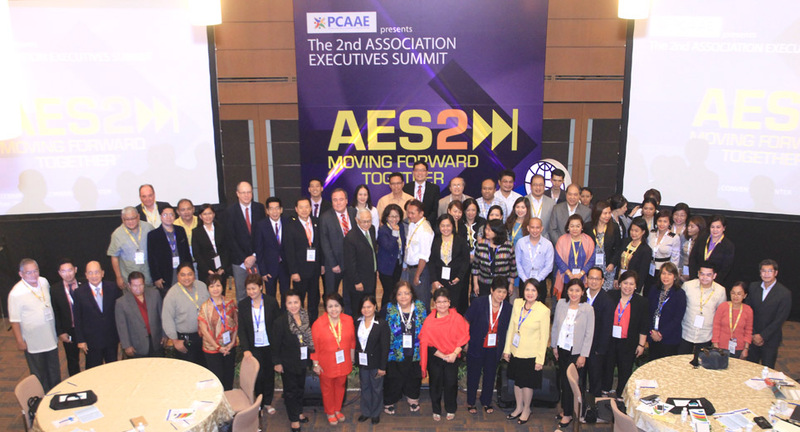 The Philippine Council for the Advancement of Association Executives (PCAAE) held its flagship annual event, the Association Executive Summit (AES), on November 19 to 20, 2014 at the Philippine International Convention Center (PICC). The event drew a hundred PCAAE members from 50 associations, chambers, societies and other membership organizations and non-profit organizations nationwide. Learning sessions covered topics on association governance, structures, memberships, financing, sponsorships, events organizing and best practices in association management. Supporting the event are the Tourism Promotions Board Philippines (TPB), the PICC, the Association of Development Financing Institutions in Asia and the Pacific (ADFIAP) and two Washington, D.C.-based institutions, the Center for International Private Enterprise (CIPE) and the American Society of Association Executives (ASAE). PCAAE www.pcaae.org is a membership organization that aims to have the association executive profession recognized and further developed in the Philippines.